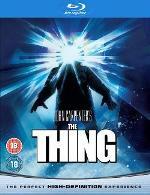 This is a gory and powerful update to The Thing From Another World and unlike most remakes, is more than a classic of the genre in its own right. The story bears a lot of comparison with Alien and the subtle mood is similar too, except instead of the team hunting an intruder, they're hunting themselves, because this particular parasite can imitate anyone perfectly. Well, first it has to eat them and each sequence is a marvellously disgusting exercise in special effects and the modern benchmark for any anti-CGI debates. The invention of these horrible creations is astonishing; "You've got to be f***ing kidding me", says one character and your jaw will drop too. He was referring to a severed head growing spider legs and scuttling away, but there are several scenes like that! Carpenter's lean and focused screenplay features distinct variations of food for the Thing, effectively brought to life by a first-class cast of character actors, led by Kurt Russell, Donald Moffat and Keith David. As I said before, Alien was a clear inspiration for the approach and they are all similarly weary and memorable, so you feel it as they get picked off. There is a stand-out moment with several of them tied together while Russell tests their blood. The music by Ennio Morricone (as well as Carpenter's usual synthesiser motifs) is sombre and builds a tense, doom-laden mood from the off, matched by sharp cinematography. Carpenter makes the most of the bleak landscape, but breaks it up with contrasting sets and lighting. The moment the generator fails is brilliantly done. As a side note, I watched the Blu-Ray edition and the bits featuring fire are particularly fine. This is a milestone in the horror genre. The nature of the story means the parasites forms are limited only by imagination, yet never appear gratuitous and only add to the atmosphere. Above all this a character piece as you see them quickly break down under the paranoia. And it's difficult to work out who has been assimilated and how, so this brilliantly puts you in the same position as the characters. It makes you bite your nails, jump out of your chair and threatens to make you throw up too! You'll be in a hell of a mess by the end of this film, but that's what the best horrors do. I actually saw "The Thing" when it first came out in a real theater and it was quite an experience. I saw it with a couple of friends who I don't see anymore. I miss the movie-going experience more than I miss those guys, though. It is one of the films though that I wish I could have seen when it was first released because it must have been quite a surprise, especially if you knew the original and weren't expecting anything quite so visceral. 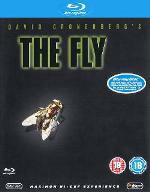 David Cronenberg re-imagines the classic film with Jeff Goldblum as the eccentric scientist who has an accident during one of his teleport experiments and finds himself merged with a fly. Geena Davis is the girlfriend journalist who sticks by him... well, until bits start dropping off anyway. The original film was a typical b-movie horror with a great mad scientist plot. David Cronenberg's update keeps the broad comic book story, but delves deeper into the disgustingly weird and nasty business of Seth Brundle becoming Brundle-Fly. His work is often about mutations, in everything from The Brood to Exitenz and he's just as fascinated by the mind as well. This is probably his most accessible film, except for A History of Violence, but while brilliant and my personal favourite, it's hardly his usual style. No, the gradual transformation of both body and mind into vomit-inducing mush is far more his line! Strangely, the first part of the story is rather flat. Goldblum is excellent and Davis does nothing wrong, but somehow it doesn't click for me. All stories like this have a long-ish build-up, but this is written too well! There's little of the hokey dialogue you'd get in the old days, but the plot still has clear checkpoints (social misfit; doesn't like travel; etc) and daft convenience (the computer is hilariously naive!) that can write off years of development overnight. It can jar against an otherwise powerful script that is almost from another film. In an odd way, I was reminded of Silence of the Lambs, not least because of Howard Shores wonderful score, but an investigative girl being dragged into an enigmatic madman's world isn't far off the mark either. John Getz's hissable villain may surprise before the end and his character rounds out a very original version of what could have been all too predictable. Often a film like this lives and dies by the ending, but the pace isn't lost for a moment and the finale is gloriously mad. Part of me prefers the ending of the original ("Help me! "), but this is still brilliant, horrifying fun, with just a hint of poignancy. C'mon Jon, stop playing safe with these old 'thrillers' and start watching some real unknown horror films like I am!!! I'm sure that you own some movies more obscure than that. What next Jon, Helraiser? Psycho? Scream? Obscure? You want obscure? Well, heck, you just went and did it, didn't you! Not sure I need to upgrade Hot Fuzz. Paul W. S. Anderson is a hack and a studio whore. Bit strong, I know, but the guy needs a slap! 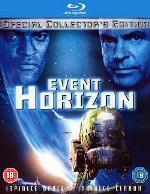 Event Horizon, though derivative, could have been fantastic. Just like AVP and Resident Evil (except at least a bit more original), it showed promise, but pulls every punch. Apparently the result of three test screenings and a studio hoping for a PG-13 (even Anderson didn't want to go to NC-17. Why the hell not? ), the only really potentially disturbing stuff is in single frames. Gorehounds, prepare to pause! There is all sorts of horrors in there. Why would any director put so much work in just to strip it back to the bone? On paper the potential for me liking it was huge. The look of Alien, the imagery of The Shining and Hellraiser, and the heart of Solaris. It says a lot for it that I saw it on release, formed an opinion that hasn't changed, yet still came back, just in case... but it's put together so badly, it can't do anything other than fail. It's like it was made by a computer that analysed scary movies! The look of Alien, yes, but the characters were more important and these are slickly entertaining, admirably international (sort of), but lack depth. Copying The Shining is easy, but cutting the Hellraiser images to the point you only think you saw something cool is idiotic. Solaris? Forget it. The story descends into into such clichéd mess the drama of Sam Neill being haunted by his dead wife is lost. While it's all very enigmatic, there is no real substance. It looks pretty. The ship itself is a wonderful creation, especially the gravity drive. It's outrageously Gothic yet still seems Nostromo like feasible. Some of the set-pieces are superb, especially the rescue of Justin (Jack Noseworthy) unfortunate enough to find himself outside without a suit. Others fall flat and predictable (demons like fist fights it seems. Yawn.). The cast are excellent and happily chew up the shallow limits of the script within minutes, but they make sure it's always fun. But I wanted to be thrilled and the proof is in the pudding; for all it's efforts, I didn't jump once and I never recoiled like The Fly or The Thing made me do. Nails all intact, whereas I should have gnawed them to the bone. Event Horizon is a good example of why properly disturbing mainstream movies these days are pretty much impossible. Once you get a budget big enough to pull off the ideas, you have to start dialling it back so the sensitive teenagers can pay to watch it and think they've seen something cool, when in fact it's nothing more than Scooby Doo: Lost In Space. I heard that too and joined the chorus singing "Why? ", but now I've caught up with it again, I think there are a few depths Cronenberg could still mine. I wouldn't be surprised if he was a bit annoyed at having to obey convention at least a little bit. Nowadays audiences are more savy and might buy in straight away. And Del Toro has that style of horror sown up now, so I say go for it. I've bought too many Blus! Shaun can wait until another viewing is due at least. But what's wrong with Hot Fuzz? Maybe you have to be British to appreciate it properly! Told you! Paul W.S. Anderson? What was I thinking? Oh yeah, I am sure Cronenberg will have something up his sleaves when he decides to go from refusing to do it to committing to it. I just placed three orders (have to size them around $100 to avoid having to pay import duty) myself yesterday. Mostly Blu (like Wizard of Oz or Hardware as well as catching up on TV such as Big Bang: S2, Terminator: S2 and Dexter: S3 [full report once they arrive in Taiwan).